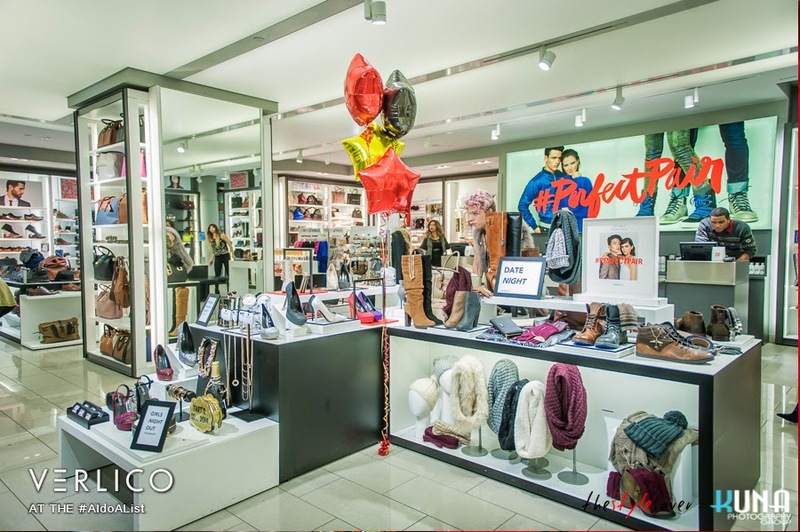 Worldwide Aldo is the go-to shop for women, from budget conscious to uber-trendy, to find up-to-date styles at great prices. Aldo on Robson Street may have a prestigious postal code but it has the same great style and prices as the others around the city. 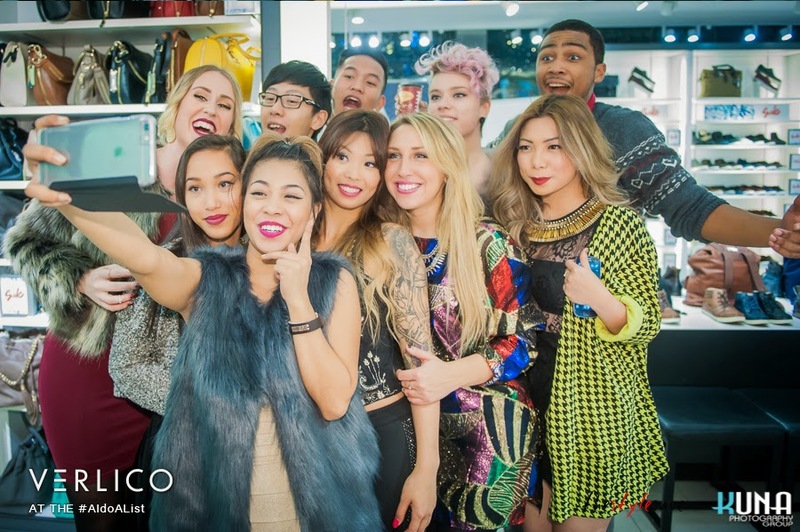 On November 21, Aldo partnered with newcomer Verlico and Elizabeth Manuntag aka ‘The Style Saver’ fashion blogger, to host an invite only shopping event that showcased the latest Aldo holiday collection. On hand were an especially helpful and happy staff to cater to invitee's every whim including shooting 'casual' candid's with various handheld devices. 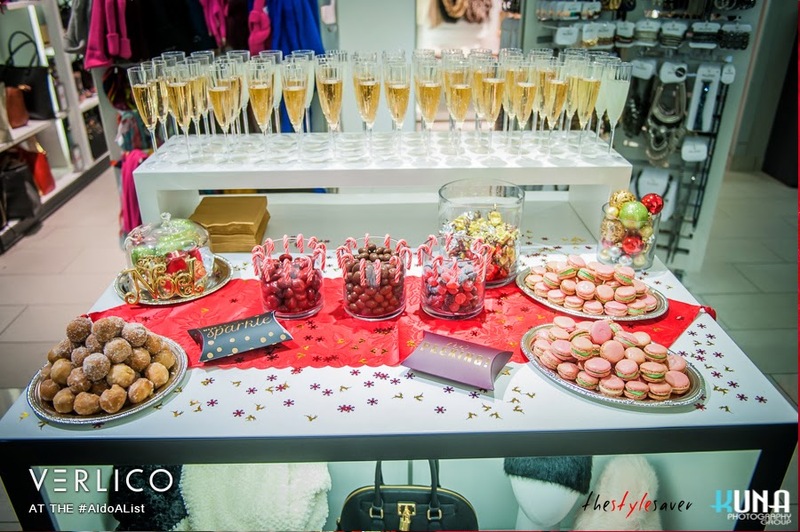 A festive table complete with sugary snacks, chocolate and macaroons, non-alcoholic beverages (as a majority of Aldo staff are under 21 years old), a prop accessorized photo wall and a three look mini-fashion show sponsored by Turnabout Consignment which included a 'Girls Night Out', a 'Casual Date Night' and a 'Office Holiday Party' themes. Nothing gets a group of fashion bloggers and keen shoppers moving and grooving than dance music and an additional 15% off all currently offered sale items. At the register the most popular items were blinged out knit toques in grey, large statement necklaces with rhinestones and chains, and knit turbans in jewel tones which will photograph fantastically in cold weather selfies. In attendance were a handful of Vancouver’s top style/fashion bloggers such as Joshua Langston of The Social Life, Jessica Luxe of JessicaLuxe, Samantha Sito of Obsessive Trend Invitation, lifestyle journalist and television host Natalie Langston, and local personality Skye Lintott of Real Housewives of Vancouver and entrepreneur who will be launching MySkyeBerryPie.com online healthy lifestyle magazine February 14, 2015. Britta couldn't leave without bringing this beauty home with her! 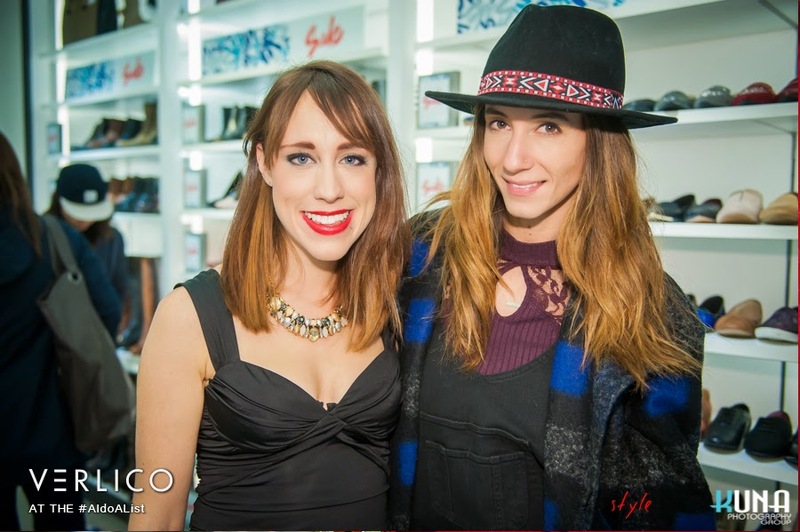 One of Elizabeth of The Style Savers' styled holiday looks on Kate Mazurok: this also makes a cute date night outfit! 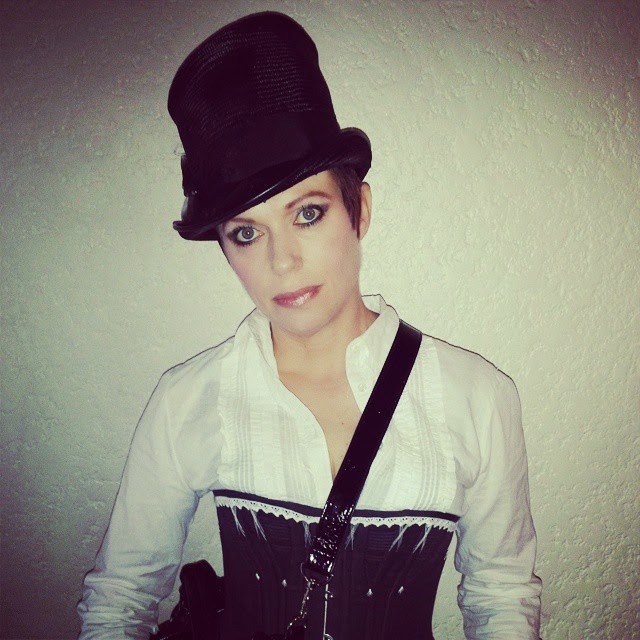 Another one of Elizabeth of The Style Savers' style looks on Ariel Marie, perfect for a workplace holiday party! The gorgeous Gatsby-inspired headband and embellished beanie were must-haves! Thanks to Kuna Photography for many of the amazing photos! These photographs are amazing!! I am glad that you had fun time at this place. I also need to buy some accessories for my upcoming corporate holiday party. I would love to checkout Aldo for that. Thanks for the reviews dear! Photography Services in Dubai Major thanks for the blog.Much thanks again. Cool.